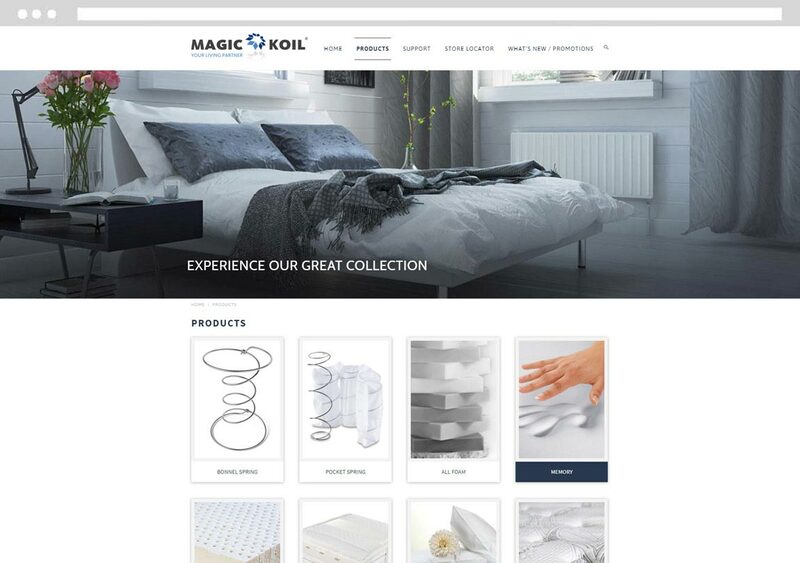 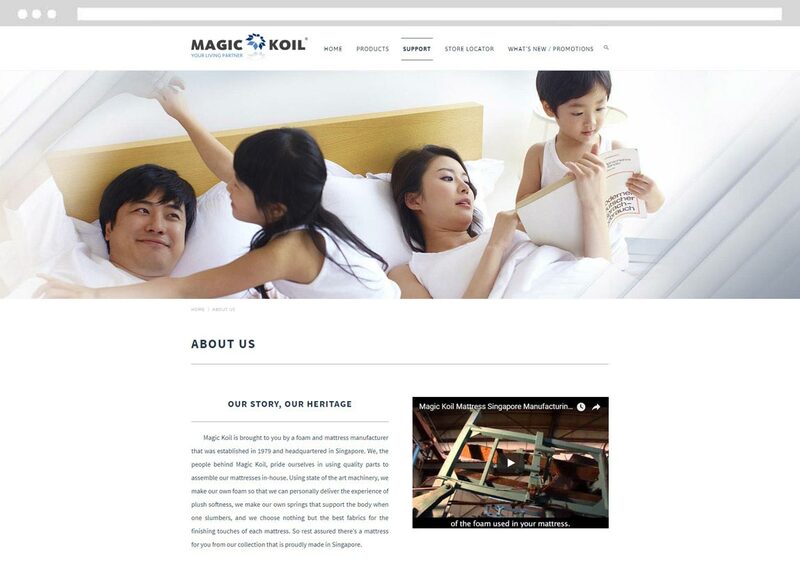 Magic Koil is brought to you by a foam and mattress manufacturer that was established in 1979 and headquartered in Singapore. 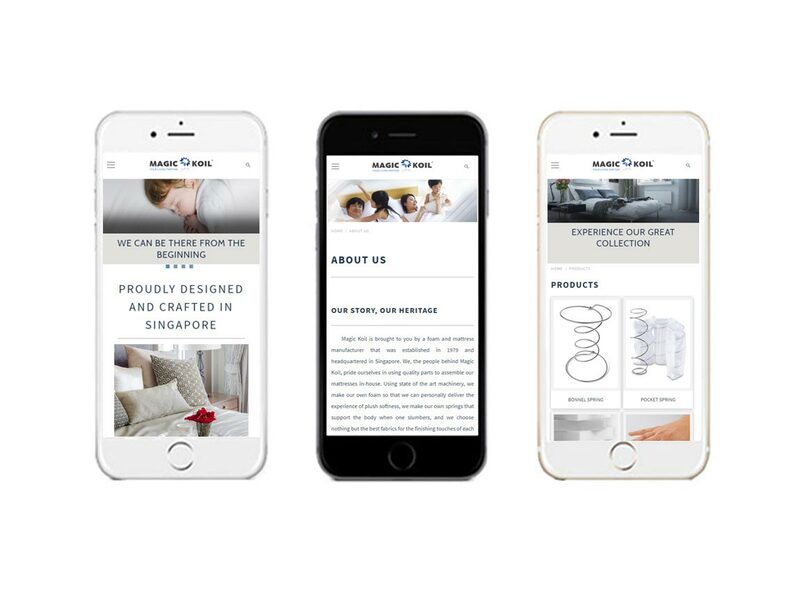 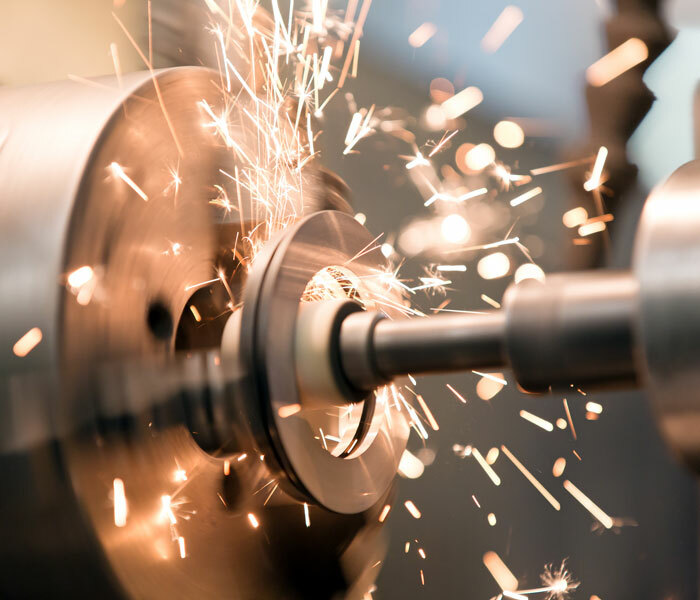 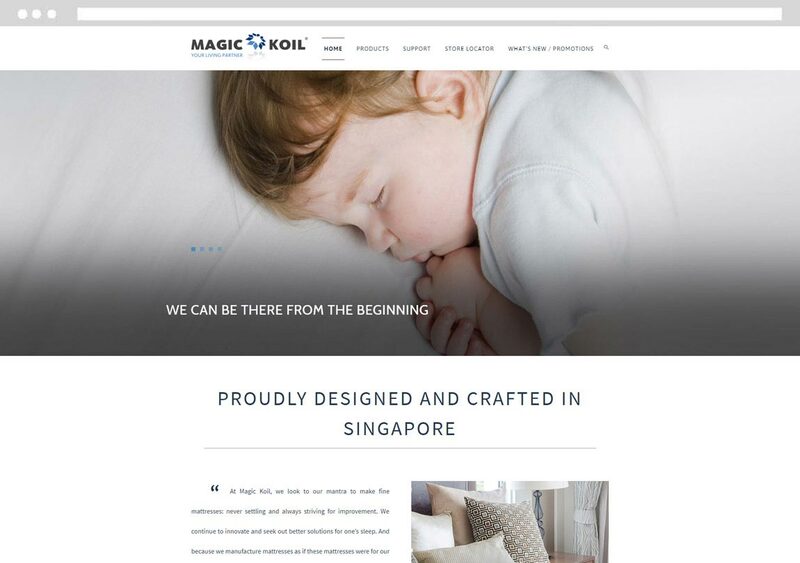 Above1, a Singapore Web Design company, is delighted to work with the team at Magic Koil to revamp their corporate website with a fresh new design powered by a Content Management System (CMS). 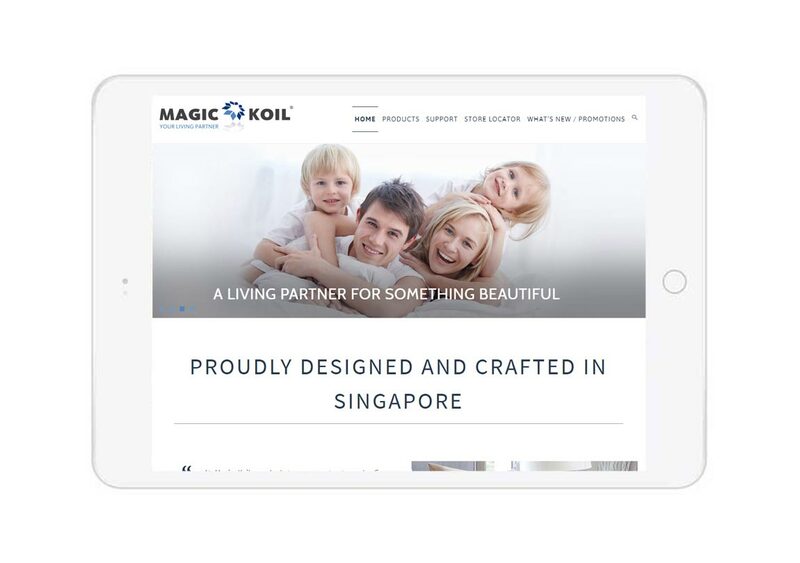 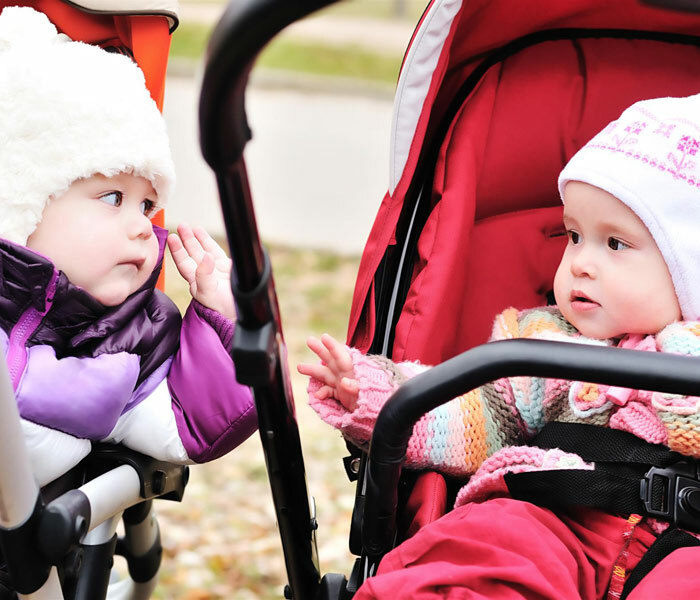 It is a responsive website that suits various machines, from desktop PCs, tablets to mobile smartphones. 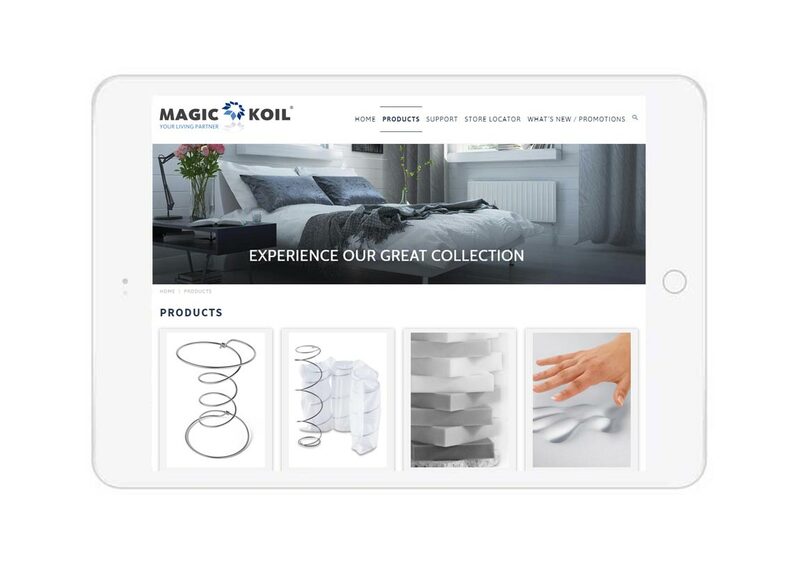 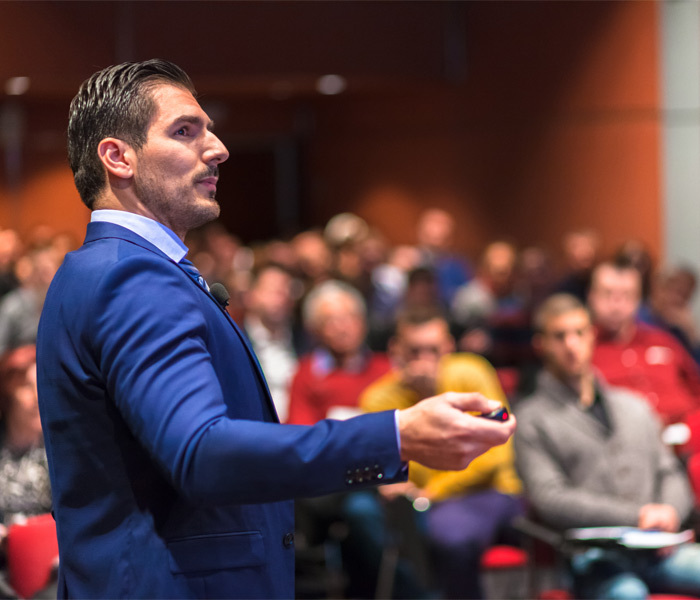 Other features include a online warranty registration system for customers to register their product warranty online and a dynamic store locator with Google Map integrated.